Election Day is less than a week away, and it's not just statewide marijuana, medical marijuana, sentencing reform, and drug testing initiatives that we're watching. In five states, voters in some cities or counties will have opportunities to cast ballots for local marijuana reform measures. In four out of the five states—California being the exception—the local initiatives, some binding, some not, are chances to vote for decriminalizing or legalizing pot. In all of those states, these city- or county-level measures are just the latest steps in sometimes years-long campaigns laying the groundwork for state-level legalization, either through the ballot box or through the legislature. California is a special case this year. With pot possession already decriminalized, its unique medical marijuana laws providing broad, if uneven, access, and the near certainty that statewide legalization is going to be on the ballot in 2016, nobody is bothering with local legalization measures in 2014 (although they had successful ones in a number of cities in the past). In California, all the action is about medical marijuana. Let's start there. With the state legislature unable or unwilling to pass statewide medical marijuana regulations, battles on the topic regularly devolve to the local level. This year is no exception. There are three broad areas of contention this year: cultivation, dispensaries, and taxes. Four counties are dealing with cultivation issues. In Butte County, Measure B is a less restrictive ordinance than Measure A, which was passed by the board of supervisors. Both are on the ballot. In Lake County, Measure O and Measure P, both seek to overturn the restrictive Measure N, which was narrowly approved by voters last year. Measure O would allow more plants to be grown, while Measure P declares that personal—not commercial—grows are a fundamental right and that people growing for their own use are exempt from county cultivation ordinances. In Nevada County, Measure S would liberalize the county's restrictive cultivation ordinance by allowing indoor cultivation anywhere, eliminating some minimum distance and other restrictions, and allowing up to 60 plants to be grown on plots over 30 acres. In Shasta County, Measure A is a referendum on an ordinance banning outdoor grows and home cultivation. A "no" vote on Measure A would repeal the ordinance. Dispensaries are on the ballot in a number of cities and counties. In Orange County's Santa Ana, two competing measures are on the ballot. Measure CC would allow for a minimum of 22 dispensaries, while the more restrictive, city council-sponsored Measure BB has no minimum number of dispensaries, a higher tax rate, and more restrictions than Measure CC. In San Diego County, two cities have dispensary measures on the ballot. In Encinitas, Measure F would allow dispensaries and tax them at a 2.5% rate, while in La Mesa, Measure J would do the same thing. In Riverside County, Blythe's Measure Z would authorize and regulate dispensaries, with a 15% business tax. Straight taxation questions are also on the ballot in Santa Cruz County (Measure K), the city of Santa Cruz (Measure L), Shasta Lake City (Measure C), and two Riverside County communities, Cathedral City (Measure N) and Desert Hot Springs, which has both a cultivation tax measure (Measure HH) and a dispensary tax measure (Measure II) on the ballot. In Maine, the Marijuana Policy Project (MPP) and local allies are sponsoring possession legalization initiatives in two towns, Lewiston and South Portland. A similar effort in York was blocked by recalcitrant town leaders. This year's effort builds on last year's success in Portland, Maine's largest city, where a similar initiative was approved with 67% of the vote. In Lewiston, the personal legalization initiative is Question 2; it South Portland, it is Citizen-Initiated Ordinance #5. Lewiston is the state's second largest city, while South Portland is its fourth largest. Victories in those two cities next week, along with last year's victory in Portland, will lay the groundwork for a statewide legalization push in 2016, which MPP says is coming. For the last six election cycles, activists with the Drug Policy Forum of Massachusetts and MassCann/NORML have been laying the groundwork for marijuana law reform through the use of non-binding Public Policy Questions (PPQs), by which voters signal their reform desires to their elected representatives. The questions have been on medical marijuana, decriminalization, and legalization—and they have never lost. Public opinion in the form of successful public policy questions helped decriminalize marijuana in 2008 and legalize marijuana in 2012. This year, the questions are all about legalization, and the aim is clear: making Massachusetts a legal marijuana state within the next couple of years. This year, the question asks: "Shall the State Representative from this district be instructed to vote in favor of legislation that would allow the state to regulate and tax marijuana in the same manner as alcohol?" Voters will be answering that question in the following districts: 4th Barnstable, 4th Berkshire, 1st Essex, 2nd Franklin, 14th Middlesex, 15th Middlesex, 24th Middlesex, and 8th Norfolk. But wait--there's more. Meanwhile, Bay State Repeal has an even less restrictive question on the ballot in five districts. That question asks whether voters would like to tell their representatives to "replace the state's restrictions on marijuana with a law that regulates the cultivation and commerce in marijuana by persons over the age of 21, in the same manner as laws that apply to the cultivation and sale of fruits, vegetables, and herbs." That question will be asked the following districts: 4th Essex, 7th Essex, 8th Essex, 3rd Middlesex, and 6th Middlesex. A slightly different form of the question will be asked in the 2nd Hampshire district. In an fight led by the Safer Michigan Coalition, marijuana decriminalization is on the ballot in 11 Michigan towns and cities this year. Like the efforts in Maine and Massachusetts, the effort in Michigan this year is part of an ongoing process whose ultimate end is legalization. Eleven other Michigan cities, including Detroit, Flint, Grand Rapids, Kalamazoo, and Lansing—the state's largest cities—have already passed similar measures. No city has ever defeated one. This year, voters will have the chance to do the same in Berkley, Clare, Frankfort, Harrison, Huntington Woods, Lapeer, Mt. Pleasant, Onaway, Port Huron, Pleasant Ridge and Saginaw. All will be voting on questions similar to this one, from Port Huron: "Shall the Charter of the City of Port Huron, Michigan be amended such that nothing in the Code of Ordinances shall apply to the use, possession or transfer of less than 1 ounce of marijuana, on private property, or transportation of 1 ounce or less of marijuana, by a person who has attained the age of 21 years?" The state's most populous county, Bernalillo County, and its third most populous, Santa Fe County, will vote on advisory, non-binding questions designed to measure popular support for marijuana decriminalization. In both counties, the question asks: "Are you in favor of the [...] County Commission supporting County, City, and Statewide efforts to decriminalize possession of one ounce or less of marijuana?" There should also have been a pair of municipal decriminalization initiatives in Albuquerque and Santa Fe, but it didn't work out that way. The Drug Policy Alliance and Progress New Mexico worked through the summer and into the fall to put the initiatives before the voters in Albuquerque and Santa Fe, but neither actually happened. In Santa Fe, the city council, when presented with the qualified initiative, just voted to accept it instead of putting it to a popular vote. In Albuquerque, the reason no vote is occurring is not so happy. Although the city council voted to put the initiative on the November ballot, Mayor Richard Berry (R) vetoed it. If the past is any indication, these building-block local initiatives should all fare very well at the polls and continue to build the number of American political jurisdictions that have gone on record for ending pot prohibition. Come back next week to see if we can confirm that. The November elections are a week away, but that doesn't mean you have to wait until the voting booths open. In all the states where drug policy-related initiatives are on the statewide ballot, early, absentee, and mail-in voting has already begun. 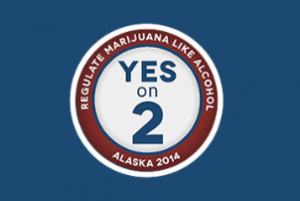 Alaska -- The marijuana legalization Measure 2 initiative is on the ballot. Early and absentee voting began last week and continues through election day. California -- Two drug policy-related initiatives are on the ballot. Proposition 46 would drug test doctors as part of an initiative to raise malpractice liability caps, while Proposition 47 would defelonize drug possession and other offenses. Early voting has been underway since early this month and ends next Monday. District of Columbia -- The marijuana possession and cultivation legalization Measure 71 initiative is on the ballot. 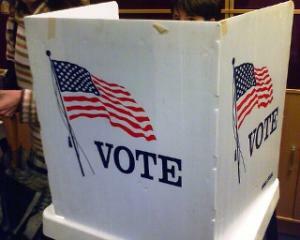 Absentee voting began last week and ends next Monday. Early voting begins tomorrow (Tuesday) and ends on Saturday. Florida -- The medical marijuana legalization Amendment 2 is on the ballot. Early voting began this past weekend and ends Saturday. Oregon -- The marijuana legalization Measure 91 initiative is on the ballot. Oregon is an all-mail voting state, and voting has been underway since early this month. For those who haven't mailed in their ballots, state law requires each county to have at least two drop boxes beginning this Friday. It's time to exercise your right to vote. Latest Poll Has Oregon Measure 91 Under 50%, But With Four Point Lead. The latest SurveyUSA Oregon poll has the Measure 91 legalization initiative leading 44% to 40%, with 16% undecided. All recent polls have shown the measure leading, but as election day draws near, the gap is tightening and support is hovering under 50%. That means it's going to come down to two things: turn-out and how the undecideds break. Latest Poll Has Alaska Measure 2 Under 50%, But With Four Point Lead. A new Hellenthal and Associates poll has the Measure 2 legalization initiative leading 46.5% to 42.2%, with 11.3% undecided. Those supporting Measure 2 included 29.7% who "strongly favor" and 16.8% who "somewhat favor." Among foes, 35.0% "strongly oppose" and 7.2% "somewhat oppose." Like Oregon, it looks like this one is going down to the wire, and turnout and undecideds will make the difference. Click on the title link for full poll results. Arizona Appeals Court Holds Medical Marijuana Users Can Be Charged With DUI Even if Not Impaired. Arizona has a zero-tolerance drugged driving law, and the state Court of Appeals ruled last week that the state's medical marijuana law does not provide immunity from prosecution, even if they are not impaired and only test positive for the presence of marijuana metabolites. The case is Darrah v. City of Mesa. 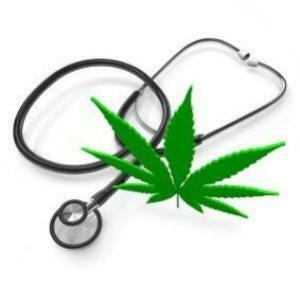 Michigan Court of Appeals Holds Medical Marijuana Users Can Get Unemployment Compensation. State-approved medical marijuana patients are eligible for unemployment compensation if the only reason they were fired is that they tested positive for the drug, the state Court of Appeals ruled Friday. The decision was based on the courts' reading of the state's medical marijuana law, which prohibits penalties for those who legally use medical marijuana. The series of consolidated cases in which the court ruled begins with Braska v. Challenge Manufacturing Company. Pennsylvania State Senator Urges DAs to Not Prosecute Medical Marijuana Cases. Sen. Daylin Leach (D-Montgomery), sponsor of a medical marijuana bill stalled in the House after passing the Senate, has called on prosecutors to not go after patients. Leach made the call in a letter to the Pennsylvania District Attorneys Association. "Given the likelihood that using lifesaving medical cannabis will not be a legal issue in Pennsylvania for much longer, I ask that you consider using your prosecutorial discretion," he wrote. "I ask that you perform an act of compassion." Acting Drug Czar Opens National Harm Reduction Conference. It wasn't so long ago that top US government officials wouldn't even say the words "harm reduction," but things have changed. Acting director of the Office of National Drug Control Policy (ONDCP -- the drug czar's office) Michael Botticelli opened the 10th Annual National Harm Reduction Conference, which took place in Baltimore over the weekend. "It really is no coincidence that I'm here,"Botticelli said. "I hope that my presence here reflects the Obama administration's commitment to continuing drug policy reform." Botticelli announced no great initiatives, but he did say that he wanted to ensure that "federal policy reflects the needs of people on the ground," and also expressed the hope that his working relationship with the Harm Reduction Coalition will "continue to grow." Kentucky Republican Lawmakers Vow to Push Legislation Targeting Heroin Dealers. Two GOP legislators have pre-filed the Kentucky Heroin Impact Act (BR 164), which would increase criminal penalties for heroin trafficking. "Unless we take action now, our streets will be lined with dead bodies," said bill cosponsor Rep. Joe Fischer (R-Fort Thomas). The bill also calls for increased public education and more funding for drug treatment. Similar legislation died this year in the legislature. Schumer Wants More Federal Dollars to Fight Online Drug Sales. New York US Sen. Charles Schumer (D) wants the Justice Department to turn up the heat on illicit online drug sales, he said today. He said in a statement he would fight to get more money for the department to fight "drug-related cybercrime." "These websites, by allowing users to rate the delivery services of sellers and by offering any drugs imaginable under the sun, are nothing less than an all-you-can order buffet of contraband that need to be investigated and targeted with more intensity,"he added. Bail Reform Question is on New Jersey Ballot. New Jersey residents will be voting on a measure that could usher in comprehensive bail reform in the Garden State. Public Question No. 1 asks voters to change the state constitution to give judges the ability to deny bail to dangerous suspects, but it also would enact groundbreaking legislation to comprehensively reform the state's broken bail system. That legislation only goes into effect if the question passes. A recent found that on any given day, nearly 75% of the 15,000 individuals in New Jersey jails are awaiting trial rather than serving a sentence. The average length of pretrial incarceration for these individuals is more than ten months. Nearly 40 percent of the total jail population has the option to post bail but lacks the financial resources to do so and more than 10 percent of individuals could secure their release pending trial with $2,500 or less. 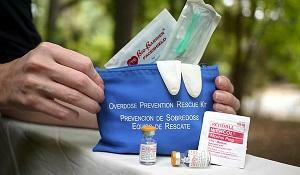 Irish Heroin Users to Get Overdose Reversal Drug Naloxone. Beginning early next year, some 600 Irish heroin and methadone users and their families will be supplied with naloxone (Narcan), the overdose reversal drug. It's a pilot program from the Health Service Executive, and follows the success of a similar project in Wales. Ireland has suffered around 200 opiate overdose deaths a year in recent years. Key GOP Lawmaker Questions Asset Forfeiture Seizures. 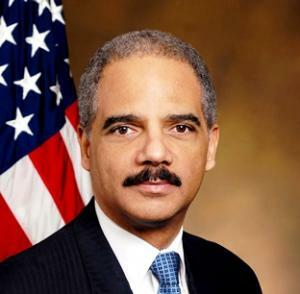 US Rep. James Sensenbrenner (R-WI), chair of the House Subcommittee on Crime, Terrorism, Homeland Security, and Investigations, today sent a letter to Attorney General Eric Holder asking him to provide documents and data related to the Justice Department's role in more than 60,000 cash and property seizures under the department's Equitable Sharing Program with state and local law enforcement agencies. "While we must ensure law enforcement is properly equipped, they should not be funded by slush funds accrued by violating Americans' civil liberties," Sensenbrenner said in a statement today. "The implications on civil liberties are dire," he said in the letter. "The right to own property is a fundamental right implicitly recognized in the Fourth, Fifth and Fourteenth Amendments. I also believe that it is a human right." Sensenbrenner sent similar letters to the DEA and Department of Homeland Security last week, after a Washington Post investigation that found that 61,998 cash seizures of more than $2.5 billion have been made since 9/11 without search warrants or indictments through Equitable Sharing. Marijuana Policy Expert Mark Kleiman Says Yes on Oregon's Measure 91. 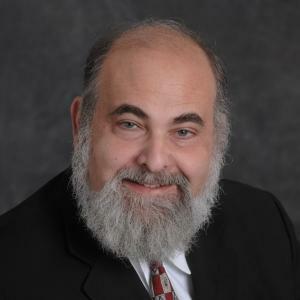 He grumbled, but in the end, academic marijuana policy expert and Washington state legalization implementation maven Mark Kleiman has come down in favor of Oregon's Measure 91 marijuana legalization initiative. Even though he says the initiative doesn't reflect "a sophisticated understanding of the problems of illegal markets or a nuanced view about substance abuse disorder" and says that claims that legalization will reduce youth access to marijuana don't pass "the giggle test," "the choice Oregon voters face isn't between what's on the ballot and some perfectly designed cannabis policy; it's between what's on the ballot and continued prohibition at the state level, until and unless a better initiative can be crafted, put before the voters, and passed into law." Bottom line? "It's not an easy choice; as a Californian, I'm glad I don't have to make one like it (yet). But if I had to vote in Oregon, I'd vote 'Yes.'" Click on the link to read the whole piece. Oregon US Senator Jeff Merkley Says He Will Probably Vote Yes on Measure 91. 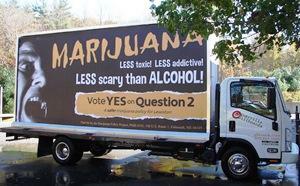 US Sen. Jeff Merkley (D-OR) has said he is inclined vote in favor of the Measure 91 marijuana legalization initiative. "I think folks on both sides of the argument make a good case," Merkley said. "And there is concern about a series of new products -- and we don't have a real track record from Colorado and Washington. But I feel on balance that we spend a lot of money on our criminal justice system in the wrong places and I lean in favor of this ballot measure." If he does vote yes, he will become the first US senator to support legalizing marijuana in his home state. Four San Diego Dispensaries Shut Down By Court Order. San Diego authorities won court orders earlier this week to close four dispensaries they said were operating illegally in the city. All four had closed their doors by Wednesday. The city has just adopted a permitting process for dispensaries and the first permit was handed out recently, but a number of dispensaries are operating in the city without permits. The city has shut down more than 200 unpermitted dispensaries since 2009, the city attorney's office said. DEA Raids Two Los Angeles Dispensaries. DEA agents Thursday raided two Los Angeles dispensaries that staffers claim were fully compliant with state laws. Raiders hit two locations of The Farmacy, one in West Hollywood and one in Westwood, seizing cash, computers, and medical marijuana. No arrests were made. The Farmacy's Venice Beach location wasn't hit, but staffers said they thought that was because it had recently moved and the DEA couldn't find it. Key West Job Offer Drug Test Case to Go to Jury. A Florida woman who sued the city of Key West for rescinding a job offer after she refused to take a pre-employment drug test will have to seek damages before a jury, a federal judge has ruled. Karen Voss had sued, arguing that all suspicionless, pre-employment drug tests were unconstitutional, and she won a summary judgment holding the city liable. She then filed a second motion seeking financial relief for her losses. US District Judge James Lawrence King ruled that a jury must determine what damages, if any, will be awarded, but he did not address whether mandatory, pre-employment drug testing was constitutional. Irish Report Finds Drug Law Enforcement Has Little Impact on Drug Availability. In a study commissioned by the Irish government's drug advisory body, the National Committee on Drugs and Alcohol, researchers have found that the availability of drugs is "largely unaffected" by law enforcement anti-drug operations and recommended that police focus on drug markets causing the most community harm. Both police and dealers agreed that police operations had "no impact on availability" other than temporary reductions because of stiff competition, massive profits, and a steady demand for drugs. The 328-page report is Illicit Drug Markets in Ireland. Mexico Missing Student Teacher Scandal Forces Guerrero's Governor to Resign. Guerrero Gov. Angel Aguirre Thursday said he was taking a leave of absence. He is not expected to return to office. Aguirre becomes the highest ranking politician yet to fall victim to the festering scandal over the case of 43 radical student teachers missing for more than a month after being seized by local police forces and Guerreros Unidos drug gang members working hand-in-hand with them. The mayor of Iguala, the city where they were seized, and his wife, also face arrest, but they have fled. Several mass graves have been found in the search for the students, but the bodies in them don't appear to be the students. The case has seen mass protests in Mexico City, as well as violent protests in the Iguala and Chilpancingo, the capital of the state. Pew Poll: Latinos Are Even Split on Marijuana Legalization. A new Pew Research Center survey finds that Latino voters are slightly less likely than the population as a whole to favor marijuana legalization, but are almost evenly divided in their opinions. Some 49% said marijuana should be legal, while 48% said it shouldn't. A Pew poll earlier this year found support for marijuana legalization among the general population at 53%. Banking Network Pulls the Plug on Pot Shop ATMs. Hundreds of recreational and medical marijuana retail outlets in Colorado and Washington have had their ATMs shut down after the South Dakota-based MetaBank pulled the plug on them. MetaBank had warned ATM providers in January that the presence of such machines in marijuana retail outlets violated federal rules, but shops had remained unaffected until this week. Other retail outlets using different bank networks were still able to process transactions. DC Initiative Wins Endorsement from NAACP, NOW Branches. The DC marijuana possession and cultivation legalization initiative, Measure 71, has picked up the endorsements of the local chapters of the National Association for the Advancement of Colored People (NAACP) and the National Organization for Women (NOW). "The NAACP DC Branch strongly advocates to end the war on drugs, which has caused significant damage in our communities. Endorsement of Initiative 71 does not mean that the NAACP is pro marijuana, however, we view Initiative 71 as a step towards ending discriminatory drug policies." said Akosua Ali, President of the NAACP DC Branch. "Criminalization of marijuana has played a major role in the racial disparities and injustice in the criminal justice system," said Susan Mottet, president of DC NOW. "DC NOW works to end all discrimination in DC and urges the voters to pass Initiative 71 to help put an end to this tool for discrimination." Seattle Warns Dispensaries They Will Need Licenses, But… The city of Seattle has sent letters to 330 dispensaries operating there that they will need to be licensed by the state. The only problem is there is no such license for medical marijuana businesses. The city council had placed the requirement on hold until the state legislature decides whether and how to license dispensaries, but the letter warns that as of January 1, 2015 (or January 1, 2016 if the legislature doesn't act before then), dispensaries must have state licenses or close their doors. Click on the title link to see the letter. California Defelonization Initiative Picking Up Big Bucks Support. Proposition 47, he initiative that would defelonize drug possession and some other offenses, is getting generous contributions from California-based technology mavens and other business figures, but those donations are being dwarfed by the ACLU, which has contributed more than $3 million. Some of the big names include Netflix CEO Reed Hastings ($246,000); Cari Tuna, the wife of Facebook billionaire Dustin Moskovitz ($150,000), Democratic Party funder Quinn Delaney ($100,000), Hyatt Development Corporation CEO Nick Pritzer ($250,000), and app maker Sean Parker ($100,000). OAS Drug Commission Meets in Colombia. The Inter-American Drug Abuse Control Commission (CICAD) of the Organization of American States (OAS) met in Cartagena, Colombia, yesterday and today, and addressed the consensus among countries that prison overcrowding in the Americas is a real problem, with more than 1.5 million people detained for drug offenses. The results of this initiative will be presented at the upcoming biannual meeting of CICAD that will take place in Guatemala during the third week of November. Canadian House of Commons Report on Cannabis Harms. The Conservative-dominated House of Commons has issued a report on the harms of marijuana. It recommends raising "public awareness and knowledge of the risks and harms associated with marijuana use." Click on the link to read the report. NACLA on Race, Class, and Cannabis in the Caribbean. The venerable North American Congress on Latin America (NACLA) has published a thoughtful piece about marijuana reform in the Caribbean, The Other Side of Paradise. In in, author Kevin Edmonds cites Caribbean activists to the effect that the region must act effectively on reforms or risk losing its lucrative, but currently illicit, pot crops to imported marijuana from places where it's already legal. An interesting read. Case of Missing Mexican Student Teachers Unveils Tight Ties Between Local Officials, Drug Gang. Mexico's top prosecutor said Wednesday that the mayor of Iguala and his wife ordered the attack on 43 radical student teachers who have been missing for a month now, and that the wife, Maria de los Angeles Pineda, was the "principal operator" of the Guerreros Unidos drug gang, which is being blamed for disappearing the students. Jesus Murillo Karam said the mayoral couple ran the group's illegal activities out of Iguala's city hall. City hall was attacked again Wednesday by protestors demanding the return of the students, and thousands marched in Mexico City to demand justice in the case, which is turning into a national scandal epitomizing the breadth of corruption and impunity in the country. Several mass graves have been found in the area, but the bodies in them haven't been identified as those of the missing students. That raises another touchy question: Whose bodies are in the mass graves? 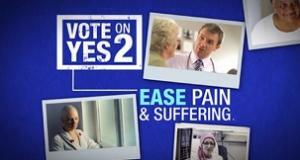 On Sunday, Americans for Safe Access launched a "Vote Medical Marijuana" campaign. The medical marijuana defense and advocacy group aims to educate voters ahead of next month's elections with a new 30-second online TV advertisement that aired on Sunday cable news programs in Detroit, Philadelphia, South Florida, and Washington state. The campaign also includes an interactive online voters' guide at VoteMedicalMarijuana.org. Check it out at the links. Last Friday,the bell tolled for San Jose dispensaries. There is about to be a dramatic decrease in access to medical marijuana in San Jose. The city had up to 80 dispensaries this summer, but only six have permits, which means that as of last Friday, the rest must shut down. Forty-seven more have filed for permits, but 20 have been denied and 20 more remain under review. The move comes after the city passed a strict new dispensary ordinance earlier this year. An effort to challenge it with an initiative came up short. On Tuesday, the Costa Mesa city clerk certified an initiative for the ballot. The Act to Restrict and Regulate the Operation of Medical Marijuana Businesses (ARRO) gathered well over the number of signatures necessary to make the ballot in a special election. That could be avoided if the city council approves the ARRO at its November 18 meeting. The initiative would allow up to eight dispensaries in the city. On Monday, the health department backed away from a proposal to ban most edibles. The Department of Public Health and Environment had told state regulators they should ban most edibles, but backed away from that idea after a firestorm of criticism. Last Thursday, another poll had the Florida initiative coming up short. A new Tampa Bay Times/Bay News 9/UF Bob Graham Center poll had the Amendment 2 medical marijuana initiative at 48% of the vote with 44% opposed and 7% undecided. Because the initiative is a constitutional amendment, it needs 60% to win. This is just the latest in a series of polls showing the initiative failing to reach that mark. Click on the link for more poll details. On Monday,a judge dismissed a lawsuit seeking to block the vote on a medical marijuana initiative. A US district court judge has dismissed a lawsuit challenging next month's vote on a legislative medical marijuana initiative. Attorney Howard Trapp had sued to block the vote last month on the grounds that a "legislative submission" was illegal under Guam law, but the judge dismissed the lawsuit, saying that Trapp didn't have legal standing to bring it. Last Friday, the health department announced that patients can now register for state ID cards. Patients need to get them by February 1; after that date, unregistered patients will have no legal protections. On Tuesday, the health department announce it is about to begin taking applications to grow low-THC, high-CBD medical marijuana. People who want to grow high-CBD, low-THC marijuana for medical purposes under a new state law can begin submitting applications to the state Department of Health beginning November 3. The state will license two growers, and the window for applications is 30 days. The growers must operate as nonprofits and must produce marijuana that is less than 0.3% THC. Last Thursday, a circuit court judge ruled local governments can ban dispensaries. In a case brought by the town of Cave Junction, Judge Pat Wolke ruled that nothing in the state's dispensary law or another law enacted last year that let localities impose yearlong dispensary moratoriums bars them from instituting outright bans. State city and county associations had argued strenuously that local governments had that ability. [For extensive information about the medical marijuana debate, presented in a neutral format, visit MedicalMarijuana.ProCon.org.]. It's now less than two weeks until Election Day, and statewide marijuana initiatives are on the ballot in four states. All have a shot at winning, and as the clock ticks down, all of them are seeking last minute help to get them over the top. The Measure 2 initiative allows adults 21 and over to possess up to an ounce and up to six plants (three flowering). It also allows individual growers to possess the fruits of their harvest even in excess of one ounce, provided the marijuana stays on the premises where it was grown. The initiative also legalizes paraphernalia. The initiative grants regulatory oversight to the state Alcoholic Beverage Control Board, but gives the legislature the authority to create a new entity, the Marijuana Control Board. In either case, the regulatory authority will have nine months to create regulations, with applications for marijuana businesses to open one year after the initiative becomes effective. A $50 an ounce excise tax on sales or transfers from growers to retailers or processors would be imposed. The initiative does not alter either existing DUI laws or the ability of employers to penalize employees for testing positive for marijuana. 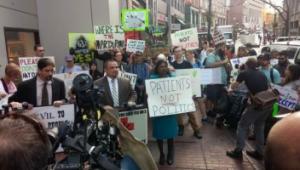 The initiative would not interfere with existing medical marijuana laws. The Measure 71 initiative would allow adults 21 and over to possess up to two ounces of marijuana and six plants, three of which can be mature. Households could grow up to 12 plants, six of which can be mature. Growers can possess the fruits of their harvests. Plants could only be grown indoors. Adults could transfer up to an ounce to other adults without remuneration. There are no provisions for taxing and regulating marijuana sales because District law forbids initiatives from taking up tax and revenue matters. A bill is pending before the DC city council that would do precisely that. The initiative also legalizes the sale and possession of paraphernalia used for marijuana consumption. It does not change existing DUI law, nor does it "make unlawful" any conduct covered by the District's medical marijuana law. The Measure 91 initiative allows adults 21 and over to possess up to eight ounces and four plants per household. Individuals can also possess up to 16 ounces of marijuana products or 72 ounces of liquid marijuana products. And individuals can also transfer up to an ounce of marijuana, 16 ounces of marijuana products, or 72 ounces of liquid marijuana products to other adults for "non-commercial" purposes. The initiative would designate the Oregon Liquor Control Commission to regulate marijuana commerce. The commission would license, audit, and inspect growers, suppliers, and retailers. The commission could set purchase amount limits, which are not specified in the initiative. The commission would have until January 4, 2016 to begin licensing growers, producers, and retailers. Marijuana sales from producers to processors or retailers would be taxed at a rate of $35 per ounce, $10 per ounce of leaves, and $5 per immature plant. The commission can recommend to the legislature any changes in the tax structure, which would then have to act to enact them. The Amendment 2 medical marijuana initiative makes legal the use of marijuana by a qualifying patient or caregiver. It would also make it legal for doctors to recommend medical marijuana and for "marijuana treatment centers" to distribute it. Patients qualify by having a "debilitating medical condition" including, but not limited to, cancer, multiple sclerosis, hepatitis C, HIV, and Crohn's Disease. Doctors could also recommend marijuana for "other conditions for which a physician believes that the medical use of marijuana would likely outweigh the potential health risks for a patient." The Florida Department of Health would regulate medical marijuana and would issue patient and caregiver ID cards, develop rules and regulations for dispensaries, and define reasonable amounts of marijuana for medical use. The initiative specifically does not allow use of medical marijuana by non-qualifying patients or the use of motor vehicle by patients under the influence. Nor does it require any accommodation for medical marijuana in schools or on the job or that health insurance companies cover medical marijuana expenses. Because the initiative is a constitutional amendment, it needs 60% of the votes to pass. Even with less than two weeks left in the campaigns, people can still help. There are slightly different tasks and needs in the different states, but all the campaigns are eager for help. In Alaska, the Measure 2 campaign is asking for people to go to its Talk It Up Alaska web page, where people can choose from a number of ways to help. "On that page, there are tabs that let people send messages to friends and family -- basically a pre-written email -- as well as phone banking tool," said Chris Rempert, Alaska political director for the Marijuana Policy Project, which is backing the campaign. "We have a limited phone bank list targeted toward people likely to support us, but less likely to get out and vote. People can go there, sign up, and start calling." The campaign could also use some cash. Donations can be made online here. "We've spent so much money on advertising, we're running low on funds for the final push," said Rempert. "We need money for yard signs, campaign literature, and the like." And volunteers on the ground could help, too. "Especially in Anchorage, we need help with getting signs up and phone banking," Rempert said. "We'll be doing door-to-door canvassing and volunteers would be welcome." Don't forget engaging with local media. "People who are in Alaska should be writing letters to the editor," he said. "The opposition has formed a grass-roots Facebook and letter-writing effort, so anyone who can write a letter will be appreciated." In the nation's capital, the DC Cannabis Campaign is already in the early voting phase of the election. It is using social media, including a #YesOn71 Twitter hashtag, to get the word out. It could, though, still use volunteers to go to the precincts and hand out information, as well as for phone banking. And it could use more money. To volunteer, go here; to donate, go here. You can even pay in bit coins, if you have them. 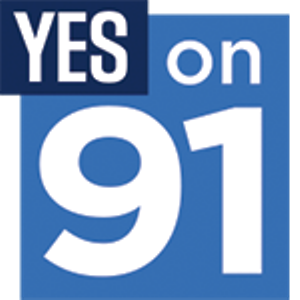 In Oregon, the Vote Yes on 91 campaign is urging people to contact their in-state friends and family members, do phone banking, and more. "If you know any Oregonians, write them a short personal email about why passing Measure 91 is so important," said campaign spokesman Peter Zuckerman. "Reach out to your friends and family members and tell them to vote yes." Volunteers can still help, too. "Whether you're an Oregonian or not, you can volunteer," Zuckerman said. "We're working very hard to get out the vote, and we need help. Go to our web site, where we have mobile GOTV groups. If you can get at least six people to phone together at a house, we will send you materials to do it." There's still more to come, too, Zuckerman said. "We will be rolling out other ways to help soon, so stay tuned," he advised. "Voter turnout is going to be really important in this election. This is a tough campaign, and we have to fight for every vote. We know your readers are really committed to this issue. Please do everything you can to encourage your readers to help us out." In Florida, the United For Care campaign is engaged in an uphill battle to hit that difficult 60% mark. As the election season enters its final days, the campaign is still looking for volunteers and still accepting donations. Florida would be the first state in the South to pass a full-blown medical marijuana initiative, and it could still use your help. It's not too late to make a difference. Act now. Moms Rally For and Against Oregon Initiative. It was the battle of the moms today in Oregon as mothers for and against the Measure 91 legalization initiative held opposing rallies. The pro side met in Portland, while the anti side met in Lake Oswego. The moms for 91 included mothers who came from Colorado and Washington and spoke of the experiences there. Click the link for more detail. Delaware Poll Has Healthy Majority for Legalization. A University of Delaware poll released Thursday has support for marijuana legalization at 56%, with only 39% opposed. Majorities in all three of the state's counties supported legalization. "I would say the numbers suggest solid support for fully legalizing marijuana in Delaware," said Paul Brewer, the political communications professor at the University of Delaware who supervised the poll. "The results also reflect what's going on in public opinion at the national level, where the trends show a growing majority favoring legalization." Click on the link for a broader discussion of pot politics in the state. The Bell Tolls for San Jose Dispensaries. There is about to be a dramatic decrease in access to medical marijuana in San Jose. The city had up to 80 dispensaries this summer, but only six have permits, which means that as of today, the rest must shut down. Forty-seven more have filed for permits, but 20 have been denied and 20 more remain under review. The move comes after the city passed a strict new dispensary ordinance earlier this year. An effort to challenge it with an initiative came up short. Oregon Court Rules Local Governments Can Ban Dispensaries. In a Thursday ruling, a Josephine County Circuit Court judge has held that local governments can restrict or ban dispensaries. In a case brought by the town of Cave Junction, Judge Pat Wolke ruled that nothing in the state's dispensary law or another law enacted last year that let localities impose yearlong dispensary moratoriums bars them from instituting outright bans. State city and county associations had argued strenuously that local governments had that ability. Asset Forfeiture Reform Bill Filed in Virginia. Del. Mark Cole (R-Fredericksburg) has filed a bill that would require a criminal conviction before authorities could seize property. 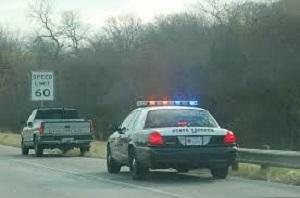 Under current state law, a criminal conviction is not required for asset forfeiture to take place. "While I certainly do not want to make the job of our law enforcement officials harder, I believe we need to strengthen our property protections to avoid potential abuse or the taking of property from an innocent person," he said. The bill is HB 1287. It's strange bedfellow supporters include tea party groups and the ACLU. Vancouver's Four Pillar Policy: Where Is It Now? It's been 13 years since Vancouver approved a groundbreaking, progressive drug policy that explicitly included controversial harm reduction provisions, as well as treatment, prevention, and law enforcement (thus, the four pillars). Now, a new series available via broadcast or podcast, examines where Four Pillars is today, what it has achieved, and whether it can last. Click on the link for more details and to find out where and how to watch.